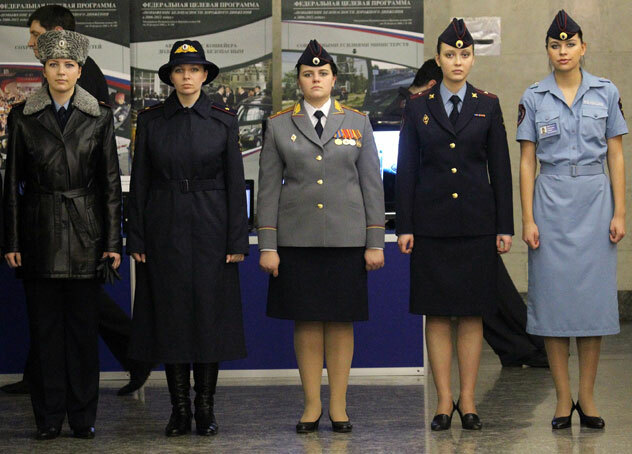 Women model the latest Russian police uniforms. The new law on police, which went into effect Mar. 1, requires all police officers to have new uniforms by Jan. 1, 2012.